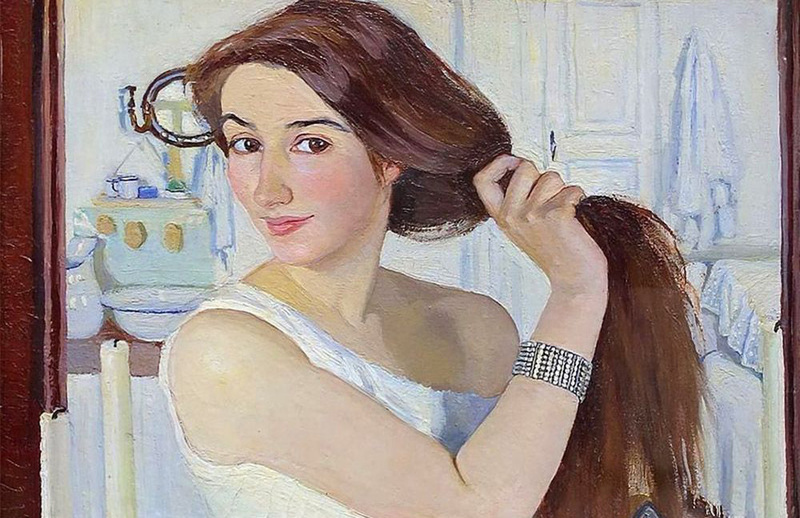 What if Russian artist Zinaida Serebryakova had posted her masterpieces on Instagram? Zinaida Serebryakova (born 1884 in Kursk Province, 550 kilometers from Moscow, died 1967 in Paris) is a famous Russian artist. She came from the large Benoit family of artists and started to paint at the age of 16. She dedicated all her life to art and soon found her own personal style. In the second half of the 20th century, albums of her works sold in the USSR in their millions, and her paintings are exhibited at Russia’s top museums to this day, among them the Tretyakov Gallery, the Pushkin Museum of Fine Arts, the Russian Museum, and others in more than 10 Russian cities. Her paintings are frozen moments of an ordinary woman’s life captured on canvas: sleepy children, communal breakfasts, morning self-portraits, still-lifes of fruit, window views of European cities, friends smiling, Russian landscapes, children playing, cooking, dancing, at the piano, dressing, reading. If Instagram had existed a century ago, her pictures would have created the perfect account. But since it didn’t, we made it for her. Thanks for coming!! My dear Cherkesova-Benois and her son Alexandr visited me today.